Predictions didn’t quite work out for the new releases of the week. 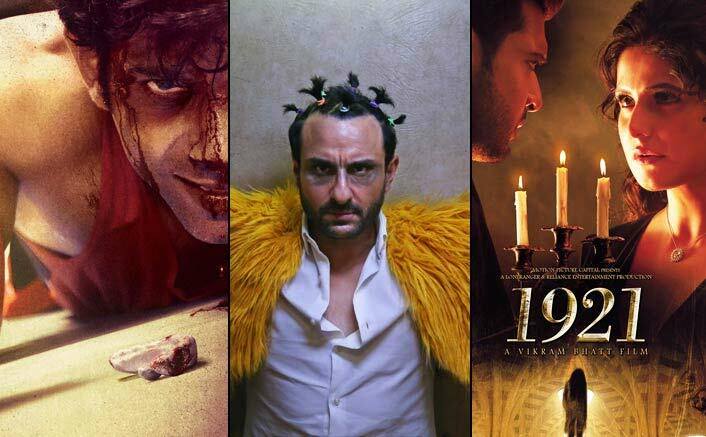 Kaalakaandi was expected to lead the show with 3-4 crore an opening day, 1921 was looking at 2-3 crore Day One numbers and Mukkabaaz was slated to go past 1 crore at least. However, and is it turned out, Kaalakaandi has been an absolute non-starter as its collections have been in the same range as Saif Ali Khan’s last (disastrous) release, Chef. That film had collected 1.05 crore on its opening Friday and now Kaalakaandi too is on the same lines. The film has just not taken any kind of head start which conveys loud and clear that neither had audiences heard about the film nor was there any excitement amongst them to find out what it had to say. What makes matters worse is that even the reviews haven’t been glowing which means it is a tough road ahead for the film unless there is a miracle. 1921 could possibly have come close to its expected opening of 2 crore, albeit on the lower range, had it seen a full release on Friday. However issues with certain multiplex chains meant that the release was disrupted right till the afternoon shows that had a telling on the numbers. At the single screens it did take some sort of a head-start and it was the recall factor associated with 1920 that ensured a certain level of audience awareness. Not that these numbers are huge either or the critical acclaim (which doesn’t quite matter much for the horror genre) been massive. Still, at least the Vikram Bhatt film has opened best. Mukkabaaz in fact had the most awareness going for it and saw maximum media coverage too. Moreover, even though Anurag Kashyap’s last couple of films [Bombay Velvet, Raman Raghav 2.0] were panned, Mukkabaaz has seen an out and out favorable response from the critics. Not that this translated into huge numbers but still for a film with a first time lead like Vineet Kumar Singh to be as a central protagonist and still gain some sort of opening that brought it close to the 1 crore mark is nice. What it needs to do from here though is to see a solid jump that ensures a weekend of around 6 crore. That’s much needed. The post Box Office – Opening Report Of Mukkabaaz, 1921 And Kaalakaandi appeared first on Koimoi.